The fall weather is starting to creep in around the nation and although some people may not be ready to put away the sunscreen and shorts, others may be a bit excited about the change. One group of people who may be especially saddened by the changing seasons are garden enthusiasts. Autumn is typically a time when the hoes, diggers and fertilizers get put away in exchange for rakes and shovels. However, planting doesn’t need to be done for good. In fact, fall and winter may be the perfect time for gardeners to try their hand at nurturing indoor plants. If a loved one is coming down with the cold weather blues, it may be a nice gesture to send him or her a lovely plant to take care of all fall/winter long. 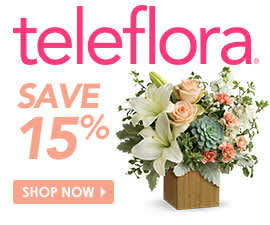 A plant like the Towering Ficus by Teleflora may be a perfect selection to give to an avid gardener in your family. This stunning ficus plant comes in a traditional terra-cotta pot filled with delicate moss. The tall house plant not only adds a touch of regality to any home, but it also helps to improve the air in the house by providing the space with tons of fresh new oxygen.